Note: This article has been updated since it was first published. The woman absently browsing through the racks of clothing that afternoon at Neiman Marcus looked haggard. Her dyed hair appeared uncombed and unwashed, her usually perfectly made-up face was bare and she was wearing a less-than-flattering jogging suit. As she shopped, she was encumbered by a large purse, a shopping bag from Nordstrom’s and another from Neiman Marcus. Her movements between the racks seemed random. Once in a while, she’d select a piece of clothing or two and hand them over to a saleswoman to take to the dressing room. Sometimes she would look at her phone. To the casual observer, she looked like a tired housewife trying to kill time. None of the other shoppers that afternoon seemed to have paid her any attention. 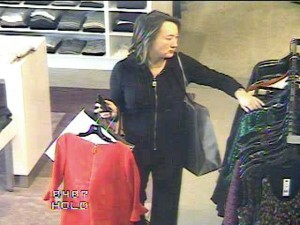 Assemblymember Mary Hayashi, however, had caught the eye of the security team at Neiman Marcus. A dress had disappeared the previous week after a woman matching her description tried it on. 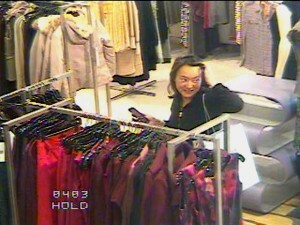 For an hour, the store’s high definition cameras followed Mary’s every move, zooming in on her face, bags and even the screen of her phone. Meanwhile, loss prevention agents in white t-shirts followed her discreetly on the floor. It was one of the loss prevention agents who watched Mary through the slats of her dressing room door, installed backwards for such purpose, and allegedly observed her dropping a pair of leather pants, a leather skirt and a white shirt into one of her shopping bags. 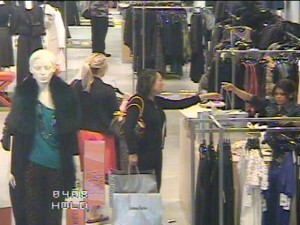 The cameras did record Mary later, at the counter, purchasing a gold shirt and a pair of red pants, while returning some items of clothing she retrieved from her Neiman Marcus bag, for which she had a receipt. Mary chatted with the saleswoman, glanced at her phone and just lingered while waiting for her purchase to be rang up and packaged. If she was distracted, it wasn’t by a phone call. 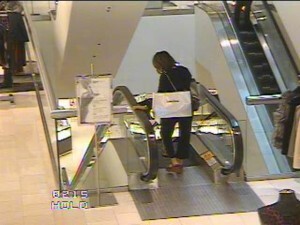 We see* Mary making her way out of Neiman Marcus with her three shopping bags on tow. 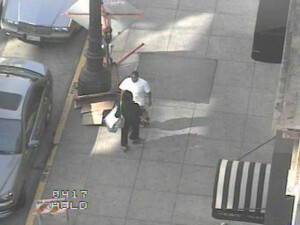 We see* her being stopped just outside the store, and brought back inside to have her bags searched. 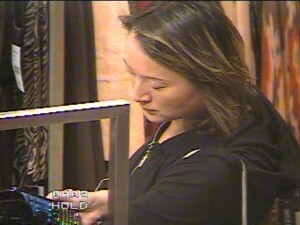 She does not dispute that she had not paid for the leather pants, skirt and shirt that the loss prevention agents found inside one of her bags, with a total value of $2445. She pled no contest to shoplifting, an offense which has the intent to steal as one of its key elements (i.e. you cannot shoplift without meaning to). 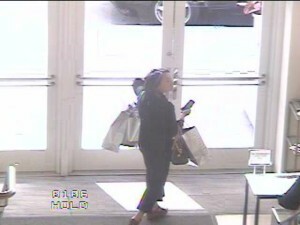 She has, however, consistently claimed she did not intend to shoplift. 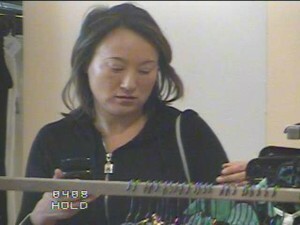 Like many other observers of local politics, I was titillated when news broke of Mary Hayashi’s shoplifting arrest. 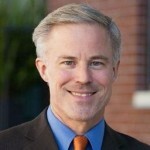 I had supported Mary when she first ran for Assembly, and I was a novice about local politics, but had grown disenchanted by her “pay to play” approach to politics. 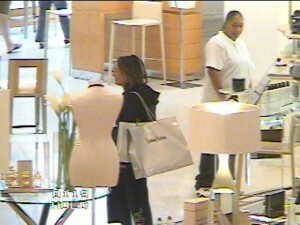 There was something deliciously ironic about her being caught stealing at a high-priced department store. As I knew very little about shoplifting, I decided to school myself on the subject before starting to thrown any stones. Fortunately, there are plenty of books, websites, studies and law cases on the topic. 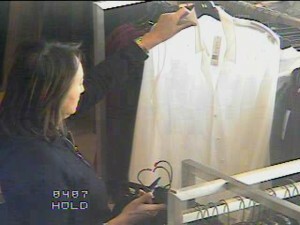 I learned, for instance, that “it was Neiman Marcus policy not to stop a suspected shoplifter unless a loss prevention officer actually observes the suspect removing the item in question from the rack and continuous surveillance is maintained,” so that any evidence against Mary Hayashi was likely to be rock solid. 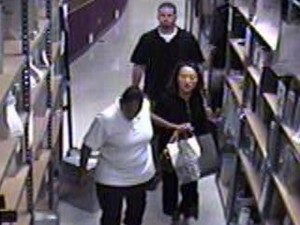 But I also learned that shoplifting is a psychological disorder which afflicts as many as 10% of Americans. While a tiny percentage of shoplifters do so for profit, the vast majority do it to fulfill psychological needs, to fill an emptiness inside or get a high from getting away with the theft. About a third of shoplifters report having been diagnosed with depression. Shoplifting can quickly become addictive, specially as the chances of getting caught are low: shoplifters report being caught about once for every 48 times they steal. Treatment, meanwhile, is very difficult, though a drug used to treat alcoholism shows promise. Before becoming a member of the California Assembly, Mary Hayashi was a mental health advocate for Asian women. She wrote in her book Far from Home how her passion came from her experience with her own sister’s suicide. It seemed likely that Mary’s shoplifting was based on emotional rather than (at least exclusively) economic needs. Her arrest was a perfect opportunity for Mary to confront her own mental health issues, and in doing so, bring attention to a disorder that afflicts many people from all sorts of lives. Instead, Mary coped out. Though she plead no contest, basically admitting her guilt, she continued making excuses, claiming she was distracted and later insinuating that a benign tumor she was suffering from, might have played a role in her actions. The latter may actually be believable. Studies have shown that damage to some areas of the brain can interfere with decision making processes, including kleptomania. Mary did not press the issue, however, as admitting faulty decision-making abilities can be a problem for a politician who wants to remain viable. Still, her inability or unwillingness to come clean about her mental health issues – issues to which she had previously dedicated her life -, seem contemptible to me. Mary Hayashi, now, is running for state Senate. She has a very large campaign chest and no scruples. Perhaps that, too, is a consequence of her brain tumor. She has attacked her opponent mercilessly, suggesting that he supports rapists because he voted against an early version of a bill that took away judicial discretion on division of assets after a divorce. She should not be in Sacramento. That is half of the story. The other half is the issu e of privacy, surveillance cameras and see-through dressing room doors. The latter matter is, perhaps, the most blatantly obnoxious. Many people are modest and don’t want to be seen naked by others – be they store employees or anyone else walking by. That’s why dressing rooms exists in the first place. While in this case the loss prevention agent actually caught Mary hiding store merchandise, it’s likely that in many cases they observe completely innocent people in their underwear. I think that at the very least consumers should be informed that they can be seen while changing with the doors closed. The surveillance issue is also troubling. Mary was in a store and she probably knew that there were cameras. I doubt, however, that most consumers realize just how intrusive these cameras can be. Shoppers are unlikely to be aware that a camera mounted on the other side of the room can zoom on their faces so precisely that someone could read their lips and eavesdrop into private conversations. They are probably not aware that the cameras can also zoom onto the screens of any papers or screens they have with them, potentially recording private information. A shopper who sees a person looking at what they are holding or studying their mouth movements, would probably walk away; cameras do so undetected. More and more municipalities are putting cameras like these on public spaces, again without notifying citizens of how much information about their every day lives they can record. Surely sometimes – like in this case – they are useful (though it’s telling that none of the actual elements of the crime of shoplifting were recorded), but it is important for the public and lawmakers to also be aware of the negative uses of surveillance technologies. Mary Hayashi’s arrest did not lead to the conversation on mental illness I wanted. I hope that the release of the video of her shoplifting incident will lead to a public discussion on the needs of surveillance versus privacy. * An earlier version of this article said that we didn’t see Mary after she left the counter. That’s because I had only watched one of the two surveillance videos provided by the SFPD. 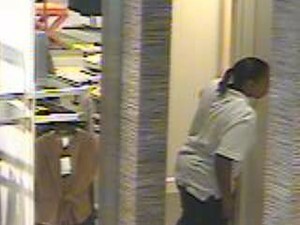 The second video shows her exiting the store, being detained and being brought back into the store. 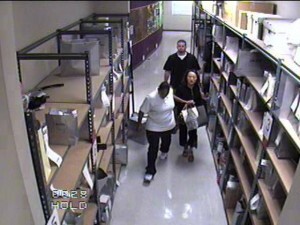 Stills from the surveillance video have also been added.